Whilst I attempt in this blog to raise awareness of the state of our rice bowl through economic and political analysis, I have not forgotten the personal stories. These stories form the backbone of the rationale behind everything I do. They demonstrate how easily a porcelain rice bowl can be cracked, robbing our people of their livelihoods, dignity and humanity. But they also demonstrate how far we still have to travel to become an inclusive, tolerant and caring Singapore. I call this section, “stories from the stairwell” because of the impact that the people I meet on my grass-roots outreach activity has had on me. I conduct outreach twice a week, door to door, stairwell to stairwell and have been doing this consistently for nearly two years now. Additionally most Sundays I go to Food Centres where I meet hundreds, if not thousands, of people at one time. When time permits we sit down with them and hear their stories too. Outreach activity has altered many of my perceptions and strengthened my determination. The stories are often heart wrenching and the urge to offer immediate succour seems overwhelming. But it is even more important not to attempt sticking plaster solutions to a deep malaise. The conditions on the stairwell only deepen my conviction to affect real long term change through political pressure and Reform . I will be sharing my experiences and those stories here. 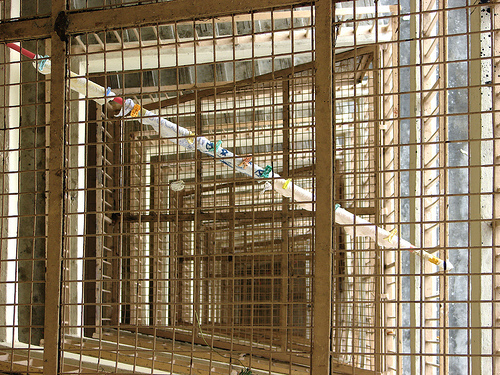 Do email me if you have a stairwell story of your own that you would like to share. The first article here is written by Raymond Anthony Fernando. Raymond is a model citizen, literally. He has received two outstanding awards for his advocacy on the changes needed in Mental Health Care and support for the caregivers. Model Caregiver in 2007 – Award given by the Asian Women’s Welfare Association (AWWA) Centre for Caregivers. Mental Health Champion 2010 – Award given by Silver Ribbon Singapore and the Health Promotion Board. Some of you may know him through his regular contributions to the forum page in the Main Stream Media on facebook and through his blogspot, Raymond’s blog: http://rayhope8.blogspot.com. His story is touching and illuminating. As he says, he doesn’t want sympathy but a proper support structure. I would only add that raising money for another charity or NGO would not be my preferred solution. We are already a rich country . What we need is reform of the system and that will only come about through political pressure that allows the will of the people to be heard. Please do read his article. Are we ready to have a Malay President? But not a Malay Prime Minister? Or an Indian Prime Minister? – Not Really! who are Indian or part-Indian or part minority. But Singapore is not ready – Not really! could rule the aristocracy – but Not Really! Then you are a forfeit, a natural fracture. And we know what’s best for the country. Very funny may I put it up on Facebook? Singapore is no longer a rich country…see below reply from CPF. You can apply to withdraw all your CPF balances if you are leaving Singapore and West Malaysia permanently with no intention of returning to either country for further employment or residence and renounced your Singapore Citizenship. I would be pleased to assist if you require further clarification. For more information, please refer to our article on Leaving Singapore or call us on 1800-227 1188 or +65 6227 118 (overseas) from Mondays to Fridays (8 am to 6 pm). Thank you.